Another long bloomimg hybrid. 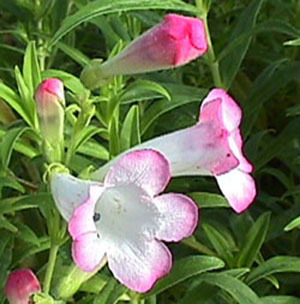 This cultivar has white flowers with a strong blush of pink, especially when in bud. A very lovely flower for the garden. Categories: All Items, all potted plants, bee nectar plants, fire resistant plants, hummingbird plants, More..